A bond measure that would have provided funds for community college expansion and renovation went down in San Mateo County, and we’ll look at how community college officials will handle the loss. In the past, when San Mateo County Community College District in California asked the voters for more funding, the answer was yes. However, the district didn’t fare so well in this last round of voting, and now the three colleges within the district will be forced to make some tough decisions regarding the expansion and renovation of their campuses. The bond issue has raised some interesting issues on both sides, as voters came out to either support their community college system or send a strong statement that, like others in a tough economy, San Mateo must figure out how to do more with less. The most recent bond issue to come before San Mateo voters, Measure H, would have provided the community college district with an additional $564 million. The money was slated to be used to continue the district’s decade-long reconstruction project, according to a report in The Almanac. The bond measure went down in defeat to a vote of 52.75 percent who supported the measure and 47.25 percent who opposed it. The measure required a minimum approval vote of 55 percent to pass, according to current state law. The defeat was the first the community college district has faced in recent years. Over the past decade, two other bond measures have passed, providing the district with necessary funding for upgrades to buildings and technology throughout their campuses. According to Peninsula Press, the first measure passed in 2001 for $207 million. The second, for $468 million, passed in 2005. Both measures passed with an approval rating of 65 percent. Community colleges have faced tighter budgets in recent years. 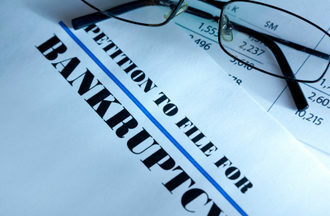 The current economic slowdown has resulted in many states pulling funding from community college budgets, forcing the schools to come up with more of their funding on their own. At the same time, enrollment increases have forced many community colleges nationwide to do more with less, stretching tight budgets even tighter as schools struggle to meet the needs of additional students. 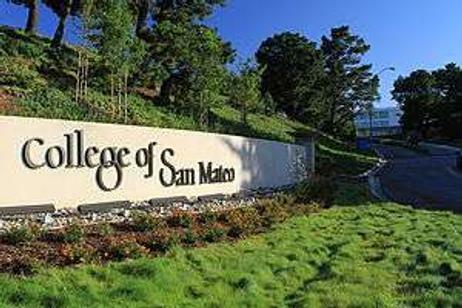 Some community college districts, like San Mateo, have turned to voters to try to get the additional funding they need. Bond measures, such as Measure H, have helped schools to expand and update current facilities, ensuring more students can get the education they are seeking with technology and other resources that are current and relevant to today’s workforce. Previous bond measures passed in San Mateo County Community College District have allowed the district to upgrade the activity center and cafeteria at Canada College and create facilities for cosmetology and auto technology instruction at Skyline College. Additional funds also went into the construction of a health center at College of San Mateo. According to Mercury News, the latest bond measure would have allowed the schools to renovate aging buildings, some of which are between 40 and 50 years old, and update computer systems and other equipment. The measure would have cost homeowners $13 annually for every $100,000 of home value assessed. However, the money wasn’t the only reason some San Mateo residents voted against the measure. Voters had a variety of reasons for opposing this latest bond measure in San Mateo County. Some believed the community college district had overshot its estimates of what property owners in the county would be willing to pay for local institutions of higher education. The gym the resident was referring to was built at the College of San Mateo, as a part of the new health center on the campus. Some students were also opposed to the gym, primarily because it allowed memberships from residents outside the college campus. However, the college argued that the additional membership fees from those residents provided additional funding for the school. Other points of contention in this particular bond issue were the fact that the district closed their horticulture program and had plans to replace a long-standing garden area with a parking lot. Some simply felt the district had received enough additional funding from bonds and voted against adding to the amount. Despite a strong opposition to Measure H, many were in favor of the issue. The importance of up-to-date resources for students was stressed, and many residents of the county admitted they had also used the facilities and felt like the colleges were an integral part of the community. Despite the defeat of Measure H this year, some are hopeful that community colleges and other public school districts may see some reasons to be optimistic in 2012. Through special elections and possible mail-in ballots, perhaps bond issues and other types of funding for schools may begin to loosen, and community colleges and other institutions will finally see some desperately-needed public monies begin to trickle into their bare budget cupboards.